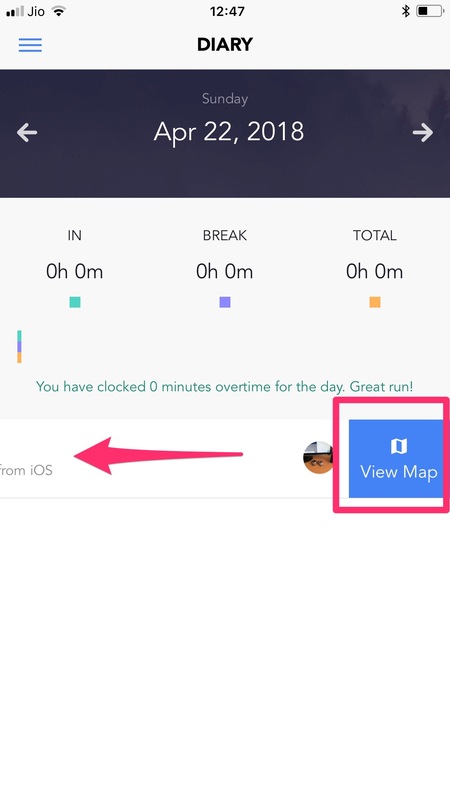 How to punch time with the mobile apps. Know how to mark your PUNCH time with ClockIt iOS and Android mobile apps. After you login into your account, you can view the punch button on the app drawer. To access the app drawer, click on the hamburger button on the top left or simply swipe across the screen from the left. Depending on the current status of your PUNCH the punch button will either be PUNCH IN or PUNCH OUT. 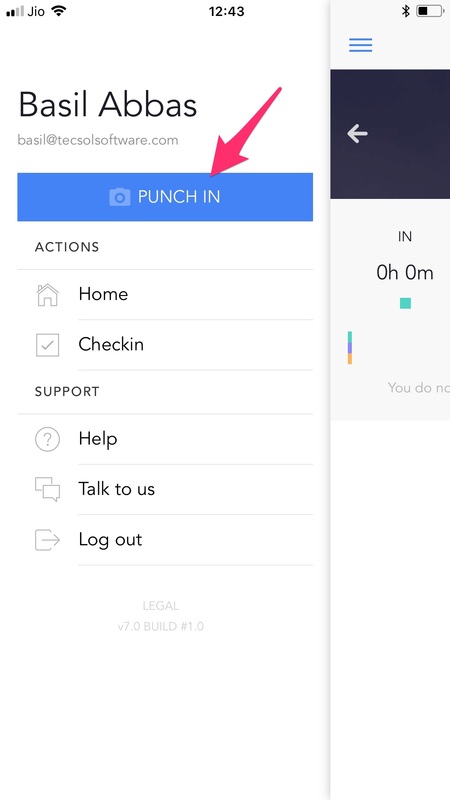 So this means that you can PUNCH IN from the web and PUNCH OUT from the mobile app. NOTE: The timers in the mobile app will update only at the time of PUNCH IN and PUNCH out and does not tick in realtime. 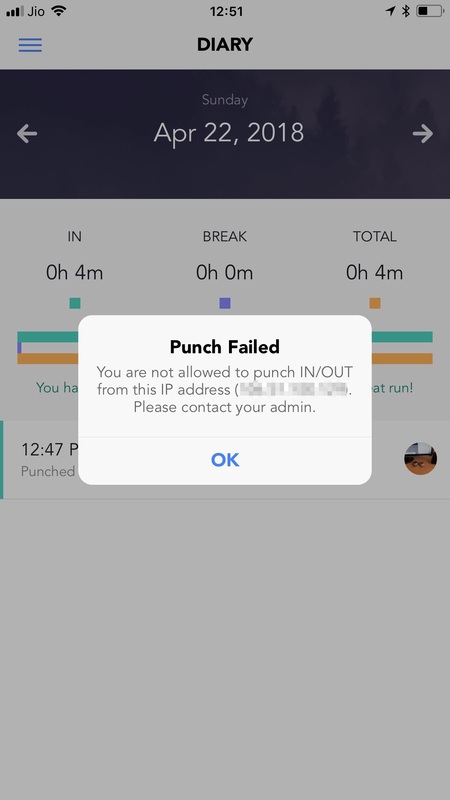 If your administrator has setup photo capture at the time of PUNCH, then a photo will be captured every time you PUNCH IN and OUT. 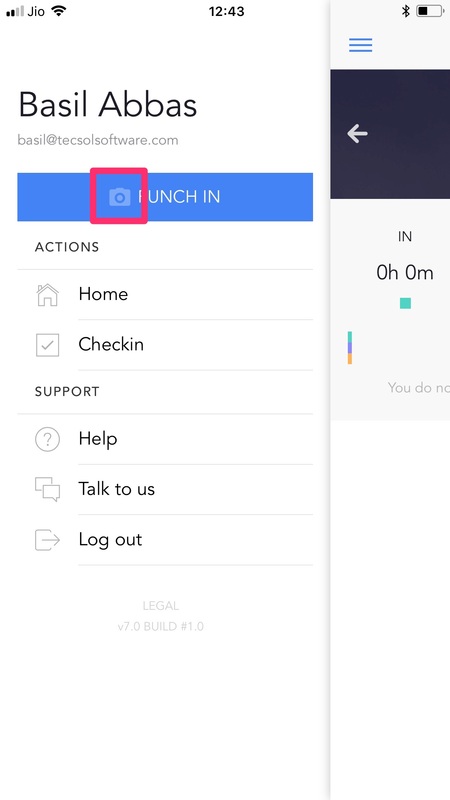 A camera icon next to PUNCH button indicates that a photo will be captured. For each punch the the app will only click one photo either on the front camera or the back camera. 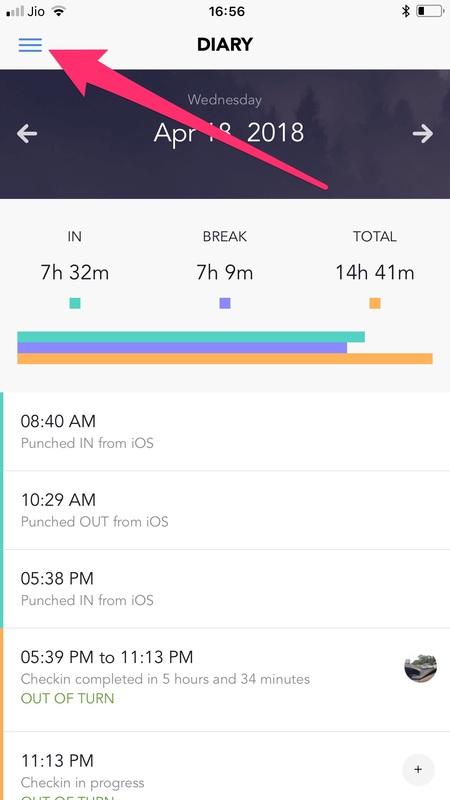 You can always view your punch location by swiping from right to left against the time. 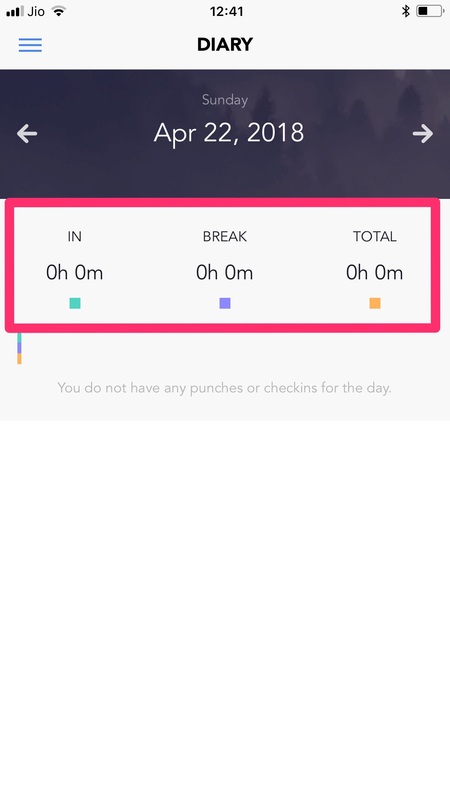 The ClockIt apps will also check the strength of your GPS signal before you punch. This setting is maintained by your admin. If the GPS signal is not strong enough, your punch will be discarded. You will need to ensure that you have a strong signal by moving near a window or an open space to punch. Your administrator may also set geofences for your punches. This means that you are allowed to PUNCH only at certain locations within a permissible radius. If you do not meet this condition, the app will notify you. Your administrator can also set an IP restriction. This means you can only PUNCH IN and OUT from the office IP. In order to get this IP you may have to be connected to the office WIFI. Get in your admin to know more. You administrator may also require you to agree to some terms and conditions to PUNCH IN and OUT. 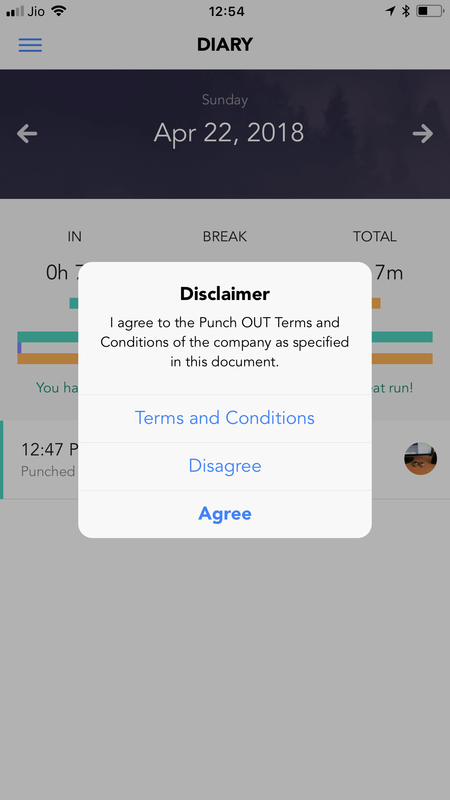 You will need to agree to these terms every time you punch. To view the terms and conditions, click on the view terms and conditions and your can see the terms and conditions set by your company for using the mobile apps.